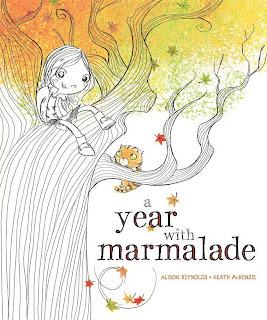 Today I have Alison Reynolds visiting at Spinning Pearls as part of her tour with her amazing picture book A Year With Marmalade. Hi Sally! Thank you for inviting me to the lovely Spinning Pearls. I was wondering why picture books are such a popular genre to write. 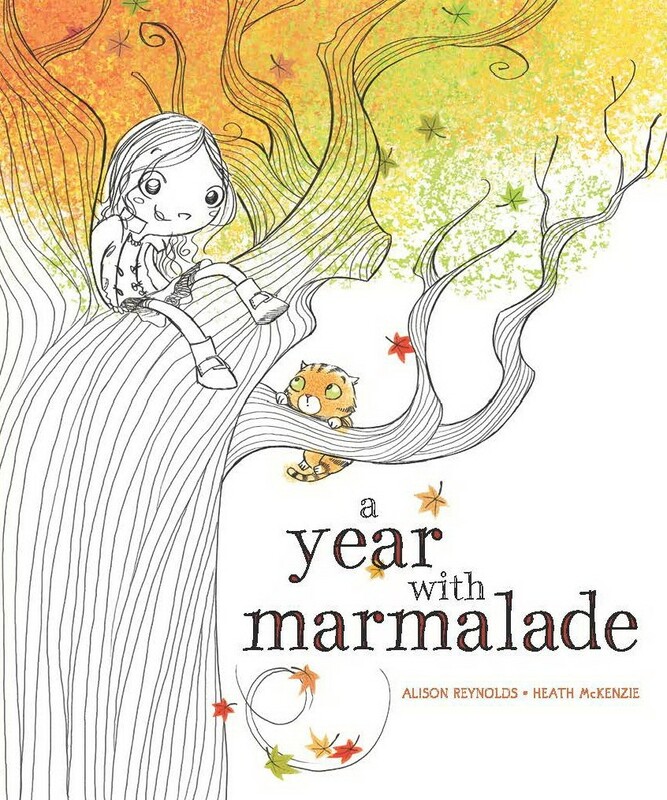 My publisher asked me to write a picture book with a background of the seasons and A Year with Marmalade emerged. But could I have written it as a chapter book? I don’t think it would have worked half as well. The juxtaposition between the words and illustrations is half the music. They’re short. BUT this does not mean they are easy to write. Mem Fox took 2 years to write the 487 words of Koala Lou. You can achieve a clarity and simplicity that is hard to maintain over a longer piece of work. They can look and feel fabulous. I love the textured trunk on the cover of A Year with Marmalade. 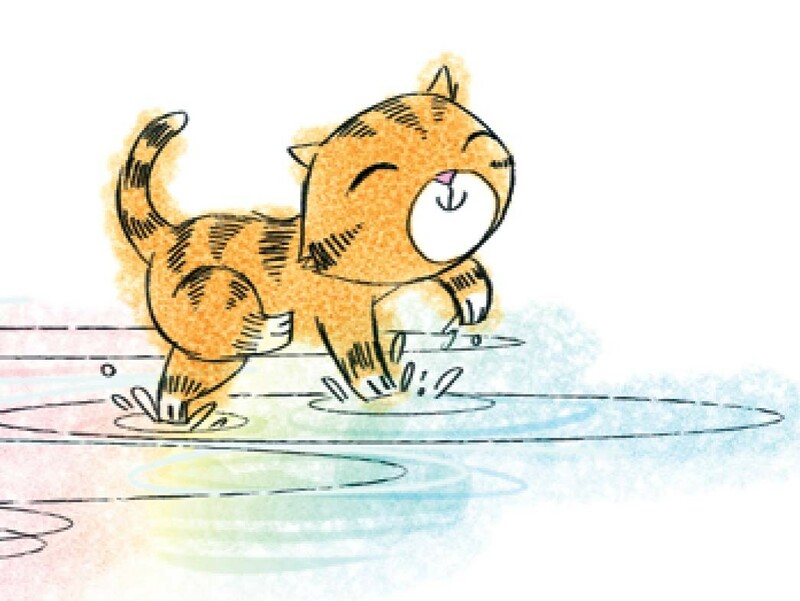 Many picture books are actual works of art. It’s fascinating to have an illustrator interpret/add to your story. Both small and big children love them. For many of us, picture books are our first exposure to literature. Picture books are fun! Do any other writers out there like to write picture books? Why? Thanks for hosting the A Year with Marmalade tour, Sally. 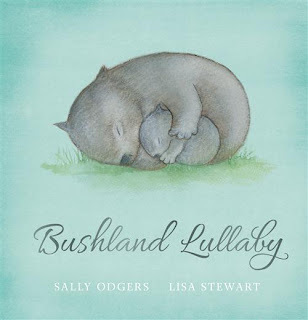 Looking forward to seeing your new work Bushland Lullaby soon! Thanks, Alison... Now, see below for a competition and the other stops in the blog tour. Marmalade’s personality really shines through in Alison Reynolds and Heath McKenzie's newest picture book A Year with Marmalade. Share your favourite picture showing your cat's personality to win.